Cut vegetables in not very large pieces. Place them in a non-stick skillet pan and reserve. To serve, heat the vegetables in the oven, and double boil the Natural Foie gras Sauce Imperia at 90 C, without reaching the boiling point. 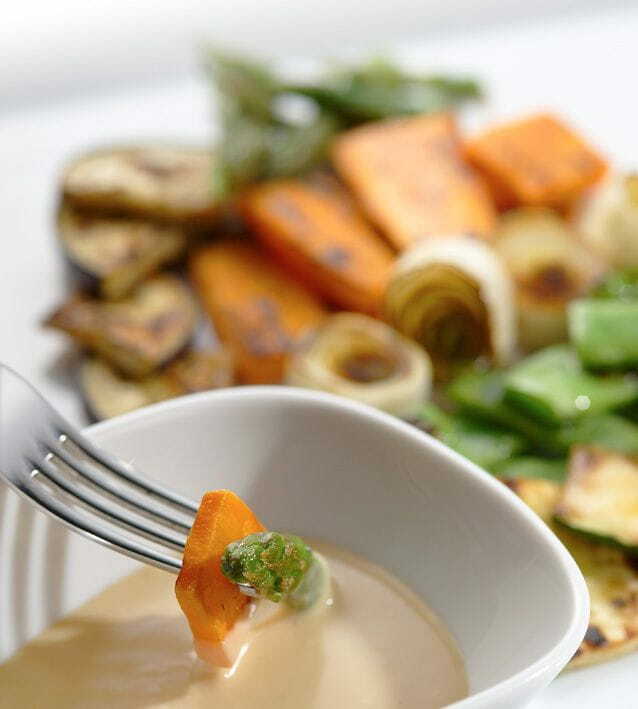 Serve the vegetables on a large plate with Foie Gras sauce in the middle.